1. Tag specials while incapacitated. By pressing the interact key (F by default) while looking at a special unit, your character will shout their name and the whole team will see them highlighted in a red outline. 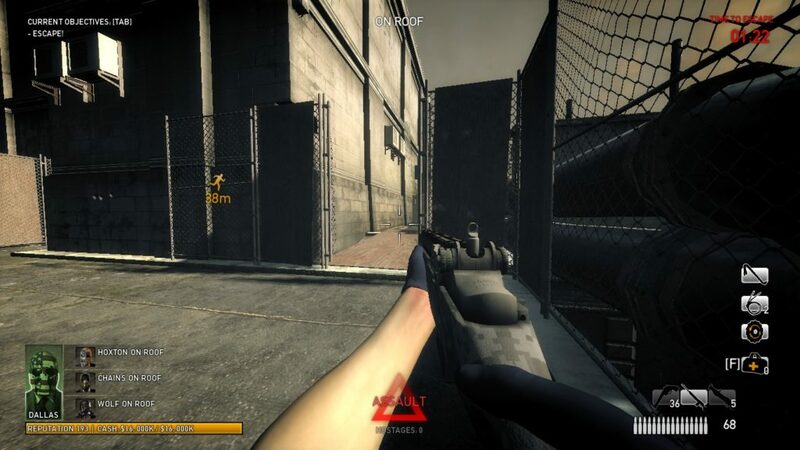 Most players have figured out how to do this while running around and playing the map, but as soon as they fall to the ground they all forget this is possible. If you’re down, and I race into the room hoping to save you, I do not want to get killed by the same cloaker that downed you, that you neglected to warn me about. He’s completing it, even if the game doesn’t indicate that. If you start interacting with the objective, it won’t help because he’s going to finish before you, so what you should do instead is cover him while he can’t protect himself. There’s no benefit to multiple teammates doing the same objective, and it takes a huge toll on team firepower, so please be aware of what your teammates are doing and only start an objective if you’re the first to get to it. 3. Use doctor bags sparingly. A fully-maxed doctor bag comes with 5 charges, and that’s it. If I’m the only player who brought a doctor bag (which is depressingly common) those five recharges are far too valuable to use the first time you’re low on health. I get it, when your health is low you want to heal up, but after getting revived from your first incapacitation, you’ll be helped to your feet with a very generous 75% health. 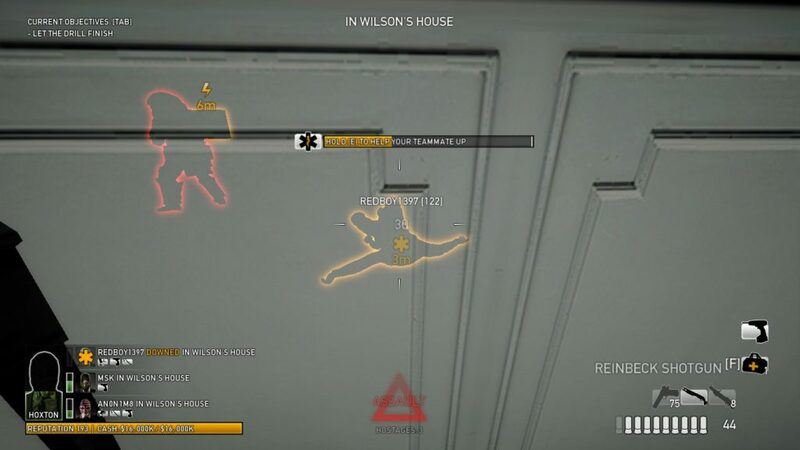 The second time you get revived, you’ll retain 50% max health. In addition, on Normal difficulty you’ll fully heal whenever you level up, which happens all the time when you first start playing. That’s why you really shouldn’t use a doctor bag charge unless you’ve been downed twice and are not close to leveling up. You’ll be glad you saved a few charges when things get hairy. 4. Don’t sacrifice yourself trying to save someone who screwed up. Question: what’s worse than your oblivious teammate marching onto an open crossfire and getting downed immediately? Answer: Your other two teammates doing the same thing trying to save him! 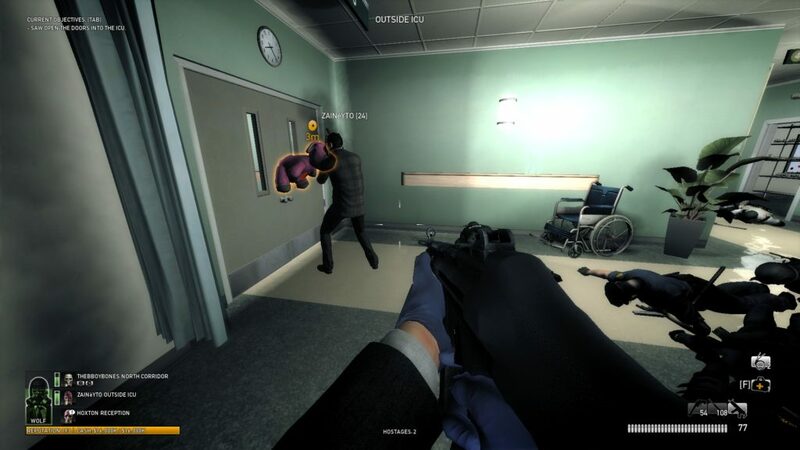 Payday the Heist is an unforgiving cover-based shooter, and a clueless player can very easily get himself killed in a place where it’s functionally impossible to rescue him. It’s vital that you leave him to his fate. If they were using cover and sticking close to their teammates, then it would be possible (and usually quite easy) to get revived. Instead, focus on taking hostages to get them back in the fight. 5. Understand how hostage-taking works. Most people notice that pressing the interact key while looking at a regular police unit will cause your character to shout at that cop to surrender. 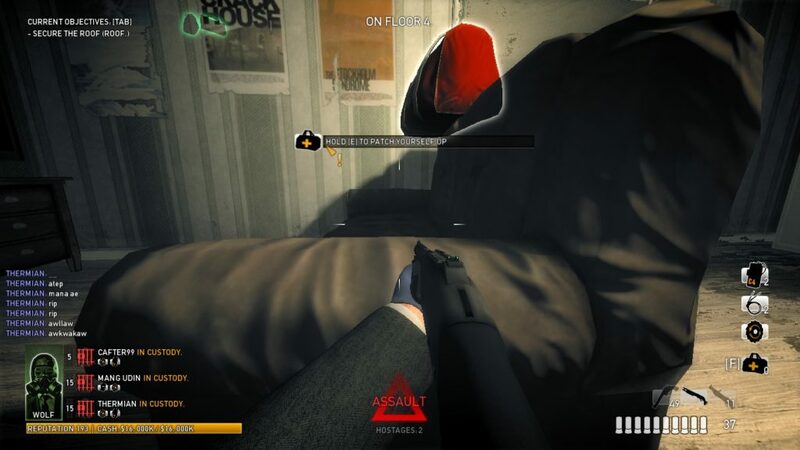 Hostages are vital for returning dead teammates to play, but there’s two important steps that are less intuitive. First, you need to shout at a surrendering cop three times before he’s a real hostage. “Hands up! (the cop raises his hands) On your knees! (the cop prostrates himself) Handcuffs on! 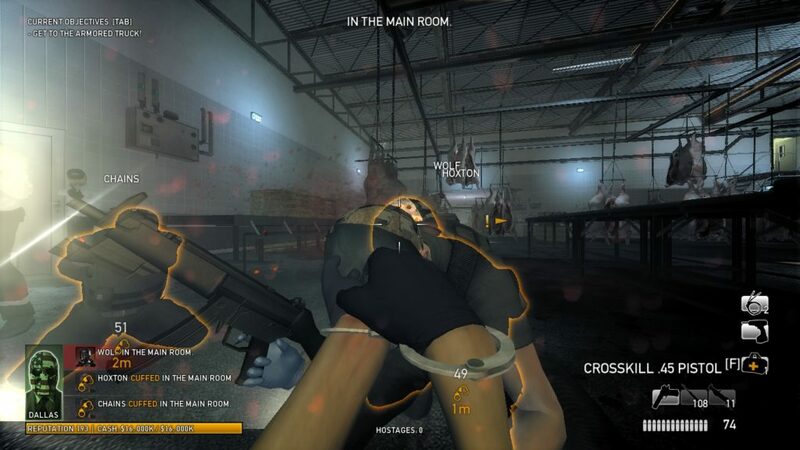 (The cop handcuffs himself. )” If you stop shouting before the cop handcuffs himself, he’ll go back to being a threat within a few seconds. Second, this hostage-taking process only works when an assault wave is not happening. Your character will still shout the warning during an assault wave, but it will 100% fail. If there’s a red triangle in the bottom center of your screen, you are currently in an assault wave and cops will never surrender. That’s all! These tips are really simple, and learning them can save you a lot of stress in the early game. Happy heisting!